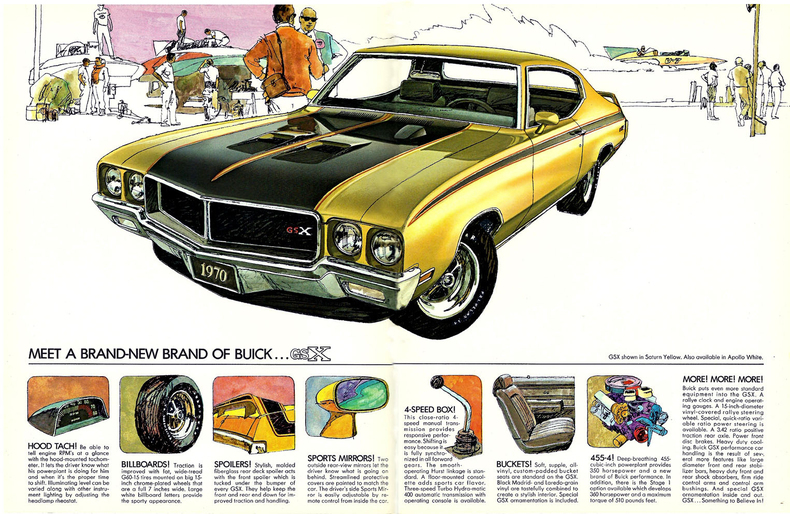 This was the most exciting year for Buick muscle cars. GM finally lifted the ban that intermediately sized cars cannot exceed 400ci’s. 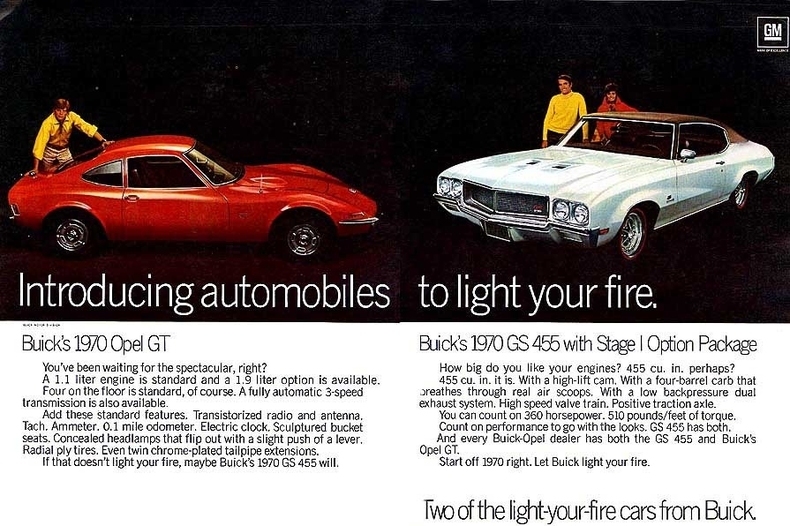 Therefore, Buick stuffed a brand new 455ci in its newly restyled GS models. The 455 spun a hotter cam with bigger valves and kept the functional hood scoops, sucking up plenty of cold air. The 455s were underrated at 350hp, but an astonishing 510 lb-ft of torque! 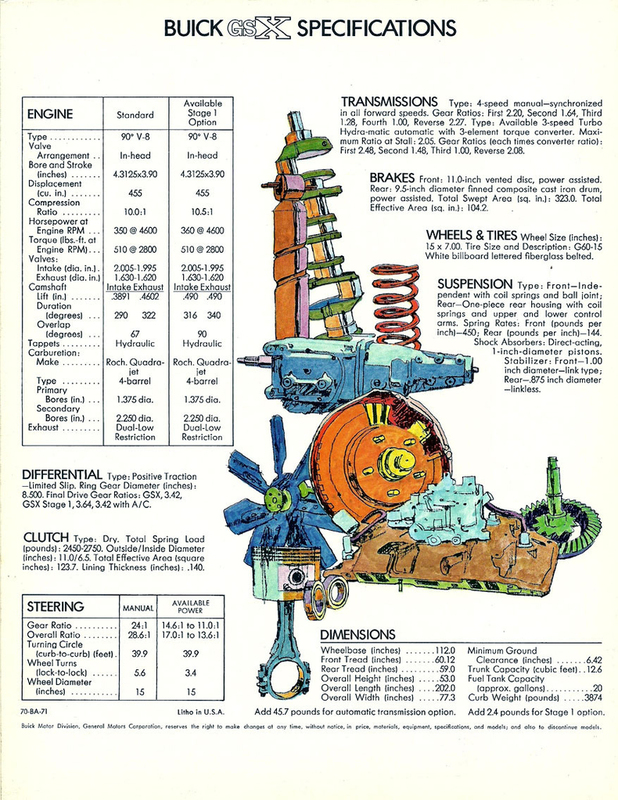 A Stage 1 option was available with an even hotter cam, bigger valves, and a revised carburetor. Buick rated it at 360hp, but some experts believe that to be closer to 400hp. 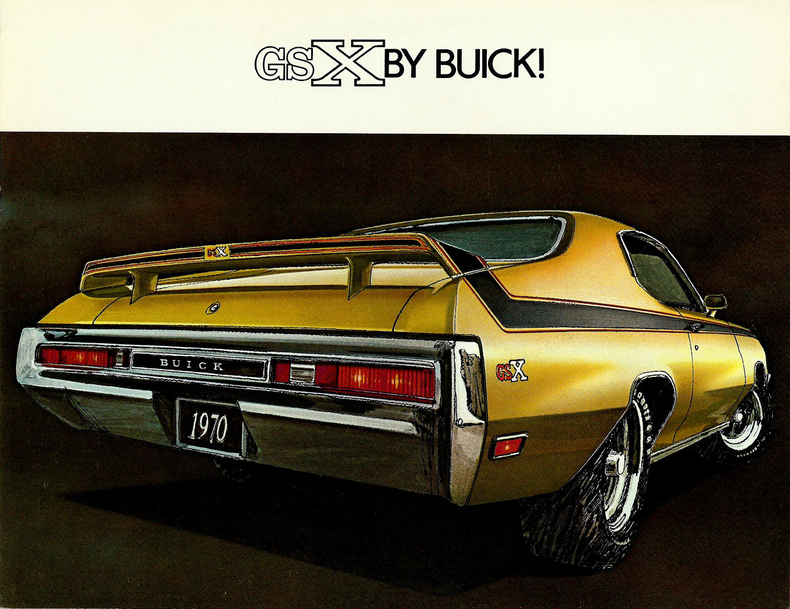 A new GSX appearance package became available with front and rear spoilers, contrasting body stripes, meaty tires, hood tach, and heavy-duty suspension. 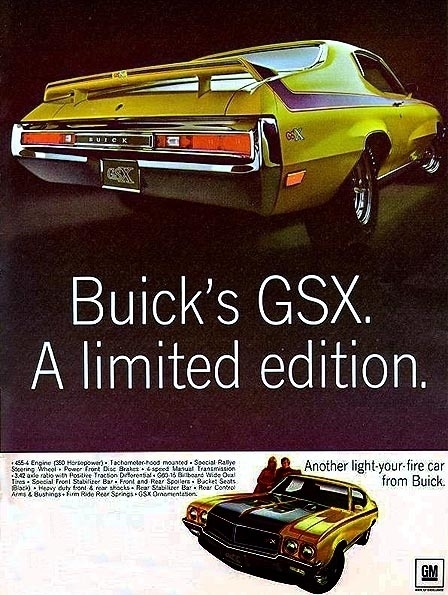 One could not get this car in any other color than Saturn Yellow or Apollo White. The GS 350 was still available, but the California GS had been dropped.